We know that bad things happen to good people. When disaster strikes your home or business, it can be absolutely devastating. These are the times when you need a team of experts to help you with your recovery and restoration. You need a plan of action and people who get the job done. You need ServiceMaster By Williams. When you have water damage, don’t trust your home or business to just any water restoration company. Trust the nation’s leading brand – ServiceMasters. We’ll get to your property quickly and assess the situation accurately and quickly. We’ll begin to implement a plan of action to minimize the damage. Fire is one of the most destructive forces known to man. The fire itself creates a lot of damage from the fire, smoke and soot, but the water used to put out the fire can create even more. Many people don’t know that fire can continue to create damage even after the fire is out. The fire restoration contractors at ServiceMaster By Williams have more than 30 years of experience that we bring to every restoration project. We have a reputation of quick responses, we’ll be on the scene promptly to help you create an effective plan to get your life back to normal. Everyone knows that mold damage can create serious health problems for you and your family. Once mold begins to set into your home, it can make your home or business uninhabitable. Our mold removal experts have the latest technology and decades of experience to help you with mold remediation and removal. Trust the national experts to help you restore your home to a healthy environment again. Our certified mold remediation experts can provide mold detection, testing and remediation for your home or business. If you live or work in our service area, trust ServiceMaster by Williams to clean your home or office and give you a mold-free environment. Call us today anytime and let’s get started. When disaster strikes, and your home is hit with leaks, floods or fire, you need the experts with water damage restoration and fire damage restoration. You need someone who can get there fast and work with your insurance companies as well as all the contractors to help make it right again. You need ServiceMaster By Williams. Call us and let’s get your life back to normal again. There’s no place like home, so when your basement floods or there’s other types of water or fire damage, it’s a huge deal. Our experienced restoration contractors are standing by ready for immediate response. Every restoration company claims to be “faster to disaster”, but the truth is, we’re your neighbors. We live in your county, so not only will you get a quick response from us, you’ll get the kind of service and care you’d expect from a neighbor. When disaster strikes you business, we understand that this is about your livelihood. You can’t afford to be down. For more than three decades, we’ve provided commercial restoration services. We specialize in helping restore churches, hotels and manufacturing or industrial facilities. If your business or organization has water or fire damage, we have everything we need to get you up and running again. Everyone knows that water damage caused by flooding, storm damage, or ruptured/leaking pipes needs immediate attention. Without immediate action, the damage will get much worse and increase the already existing threat of mold which can lead to serious health issues. Our water damage restoration contractors have the best training in the business and are ready to do a quick assessment and develop a plan of action quickly. We help minimize the damage and work efficiently to help restore your home or business. For more than 50 years, the restoration contractors at ServiceMasters have been helping business & home owners like cope with the water damage, fire damage and mold removal. We have all the resources of an international company but deliver the personal services you’d expect from a neighbor. ServiceMaster is the nation’s most recognized water and fire restoration companies. When it comes to water damage remediation, fire damage repair and mold remediation, we should be one of the first calls you make. 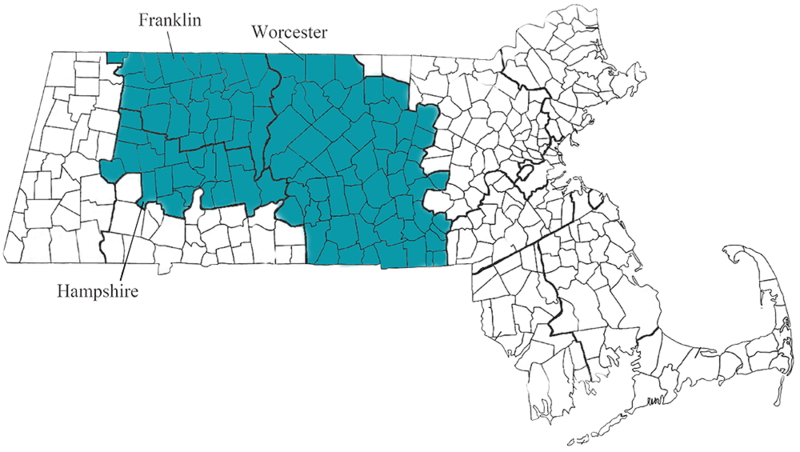 We’ve been working in Worcester, Franklin & Hampshire counties for over 30 years. Our mission is simple: to help you get your life back when disaster strikes. Click here to learn more about Service Master by Williams. There’s never a good time for a major leak, flood or fire. That’s why our restoration contractors are always on standby 24 hours a day, 365 days a year. We come with state of the art technology to every restoration project in order to get the job done quickly. We want to do everything we can to help you restore your life as well as your home or building.